1. This is adapted from multiple places across the internet; converted so that it's easier to make using ingredients you might usually have on-hand. 2. Cook butter and 2 tbsp olive oil in medium saucepan over medium-low heat until the butter is just melted, stirring frequently. Add the garlic and cook an additional 30 seconds. 3. Remove from the heat and stir in the juiced mandarin orange, basil, and lemon and orange zests. Season to taste with salt. 4. 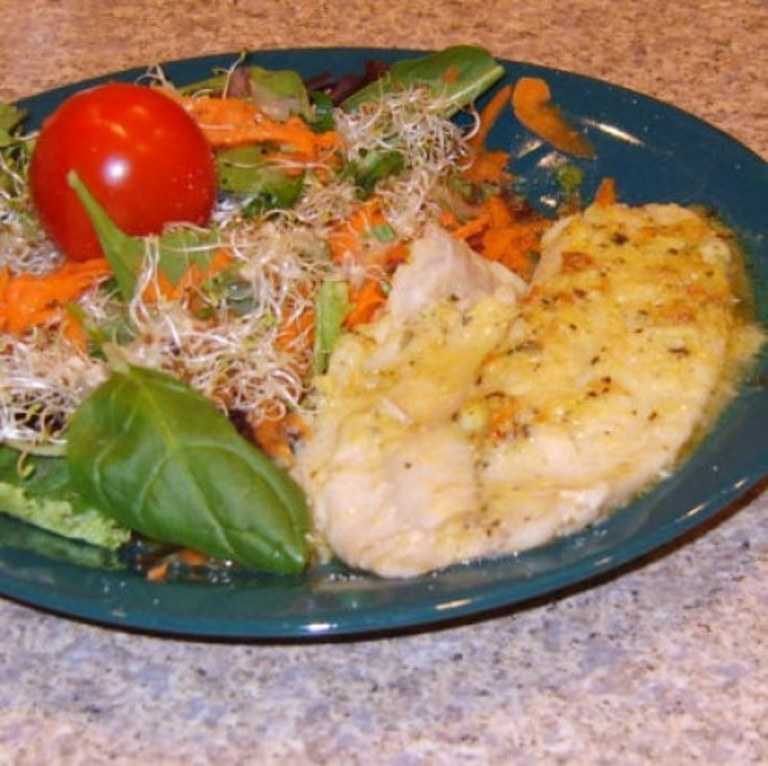 Preheat oven to 375 degrees F. Brush both sides of the fish with remaining 2 teaspoons extra-virgin olive oil. Sprinkle the fish with salt and pepper. Then sprinkle the corn muffin mix so that it LIGHTLY covers the fish, and bake for 10 minutes. 5. Drizzle the sauce over and around the fish, bake an additional two minutes, and serve.